Xtra Photo 8155 is a simplified cordless extra handset with large customisable keys. 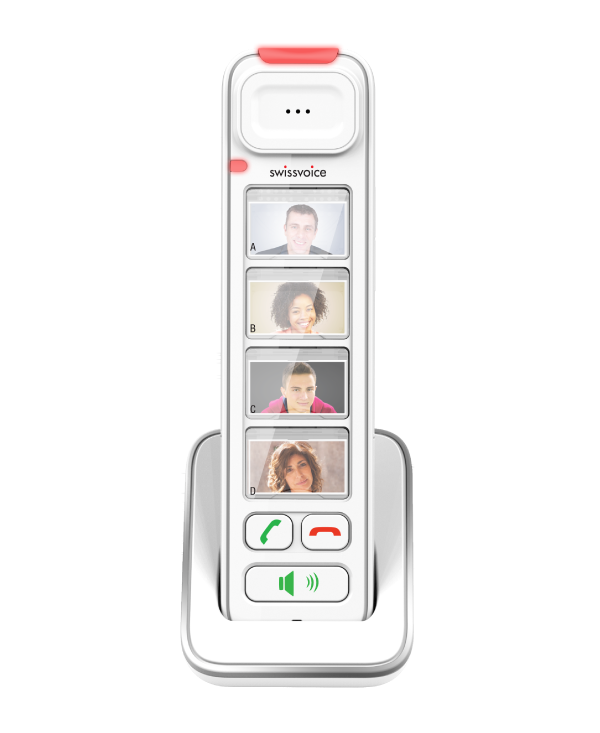 Equipped (like the DECT Xtra 2155 or 3155) with 4 large direct memory keys that can hold a photo (3 x 2 cm) so you can call your favourite contacts at the press of a button. Xtra Photo offers a hands-free function and a hearing volume of up to 20dB, with 5 volume levels (+/- keys). The ringtones are very loud, up to 85dB (5 levels + off) so that you never miss a call. A flashing LED signals incoming calls. Call your favourite contacts at the press of a button. using the + / - key on the side of the handset. Move around freely as you call, with great sound quality..